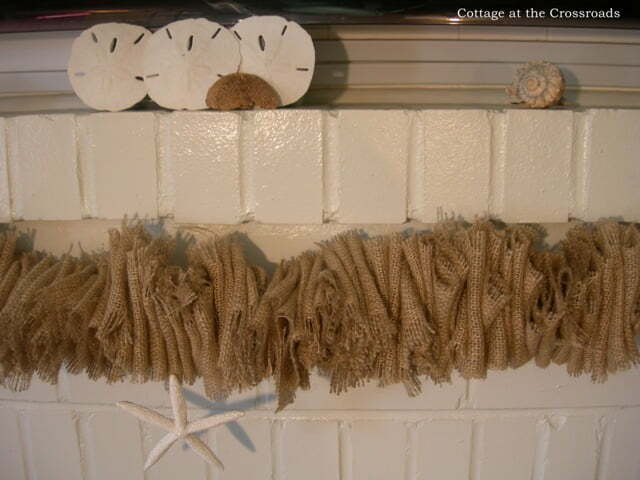 I’ve been doing a little summer decorating at the cottage, and one of the things I’ve made is this burlap mantel garland. And since I haven’t made it to the beach this year, I thought I’d bring to beach to me by pulling out all my shells. 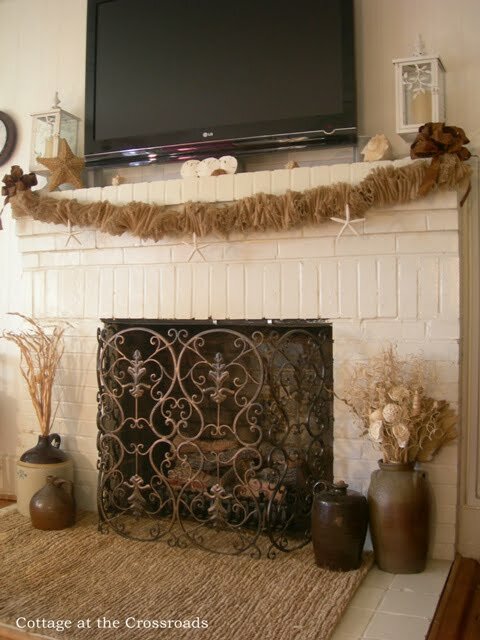 My sister-in-law Jean saw a similar garland on the blog Beautiful Nest, and she said that I should make one since it looked so pretty on a white painted fireplace. Jenni made her garland out of linen, but I thought I’d try to make a burlap garland. Burlap goes so well with our linen drapes, and I love its texture. 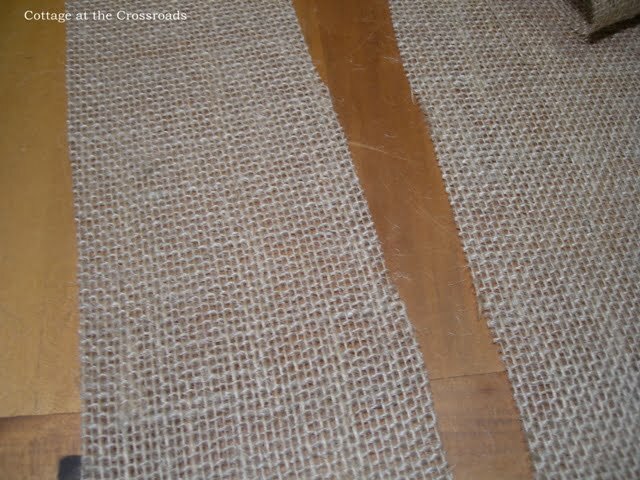 I purchased 2 yards of burlap and cut it into strips about 4 inches wide. 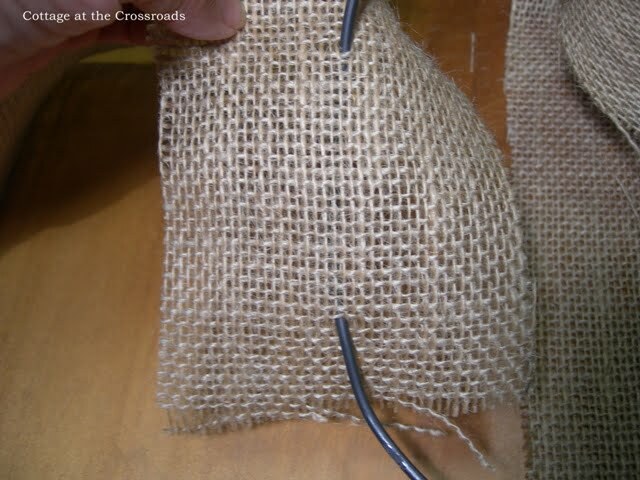 Next I started threading a wire through the burlap. You will need a fairly thick wire, and this is the wire Leo brought back from the hardware store. As I was punching the wire through the burlap, I would pinch it together and hold it. I punched through about every 2 inches, and kept pushing the folds together. This is one strip that had been threaded on the wire. I ruffled the edges after I got the burlap on the wire. Since I wanted the garland to be nice and full, I used the entire 2 yards of fabric. After I finished the garland, I attached it to the mantel with some additional wire. To hide the wire where I attached the garland, I placed some bows that I made. 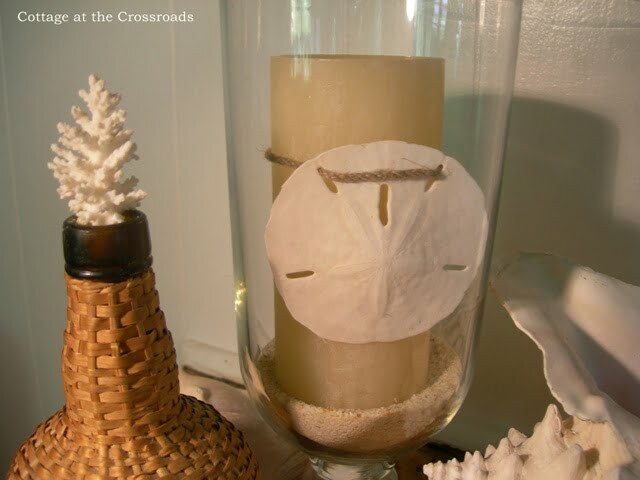 Last week, I painted the lanterns white to use as part of my mantel decorations, and I asked Leo to retrieve my shells from the attic where they were stored. 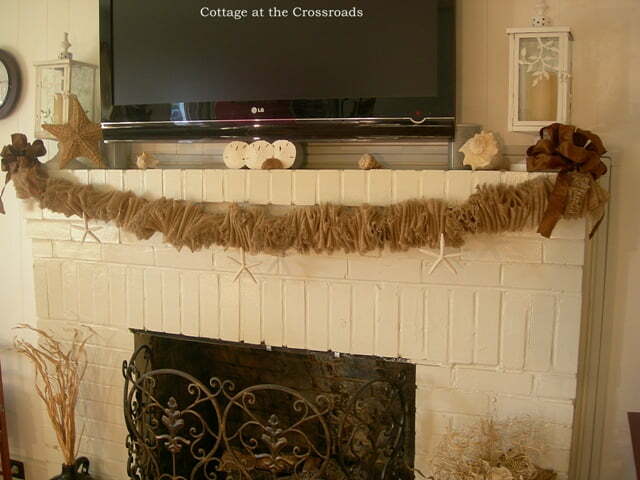 I hot glued 3 starfish to the garland and added some other shells to camouflage the speakers that are on the mantel. If you look closely you can still see the speakers but they do blend into the background. 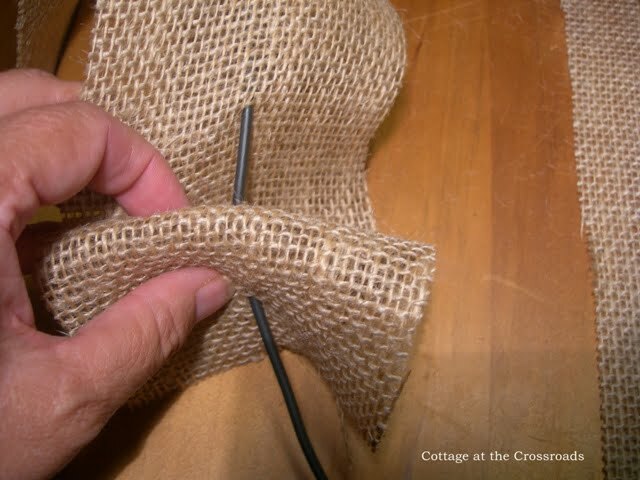 This photo shows how I twisted the burlap folds this way and that on the wire. I was so pleased with how the burlap garland turned out! My sweet sister-in-law bought some dried flowers to place in the jugs, and the natural colors compliment the shells and the burlap. 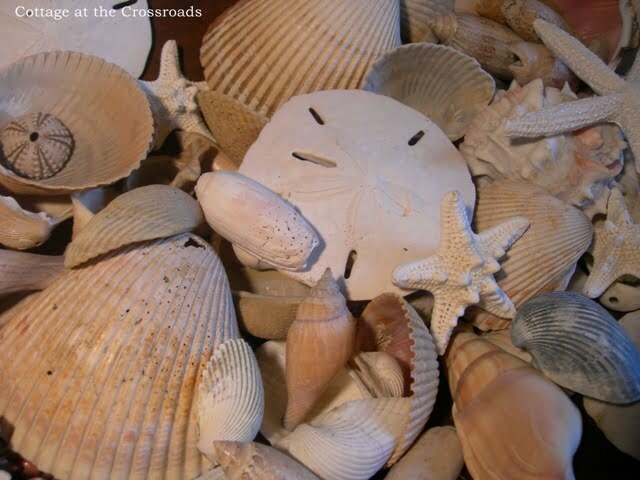 To do some more summer decorating, I put some shells into my dough tray. 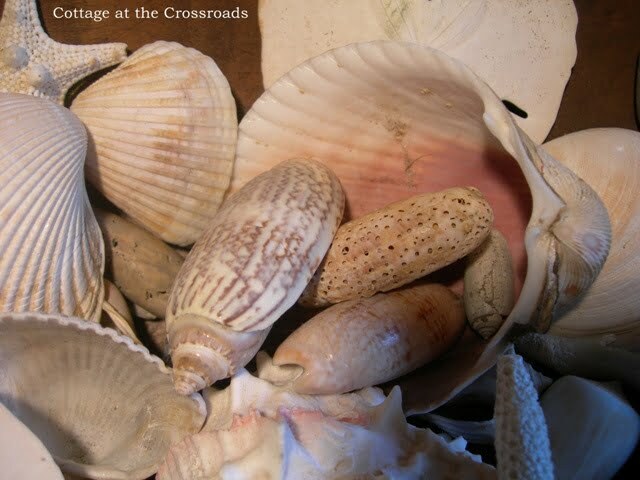 Many of the shells were collected when we lived on the Isle of Palms. My favorite shell is the lettered olive which is the state shell of South Carolina. I created some vignettes on top of our two dividers. Added a little coral here! The cottage is ready for summer, and I’m ready for a trip to the beach! Lucy dreams of the beach, too! I love it. I will have to give that a try. I love all your seashells. 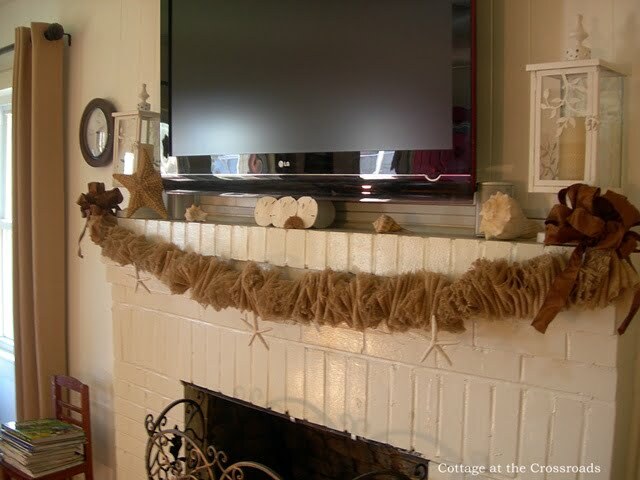 Cute, cute summer mantle. Your mantle looks so pretty. Great idea! Thanks. This is so cute and could be used in so many seasons. Your whole mantle looks wonderful. I still have more summer decorating to do and you have so many good ideas in this post to inspire me. It’s like we were cut from the same cloth. Nyuck Nyuck. The garland is so pretty. I love how you decorated your candles. So far I have not made a garland or bunting but this is great inspiration. Thanks for the directions too. I’m pinning it to my Summer 2012 board so I won’t forget about it! 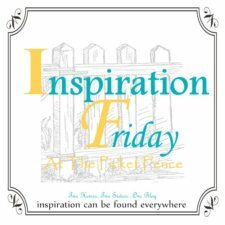 I found your blog via The Dedicated House “Make it Pretty Monday”. 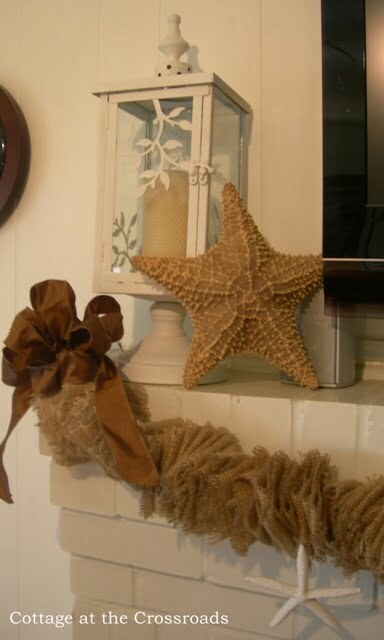 I love the burlap garland you made for your fireplace, it looks so lovely and I also like the way you added sea shells as well. You used all my favorites! 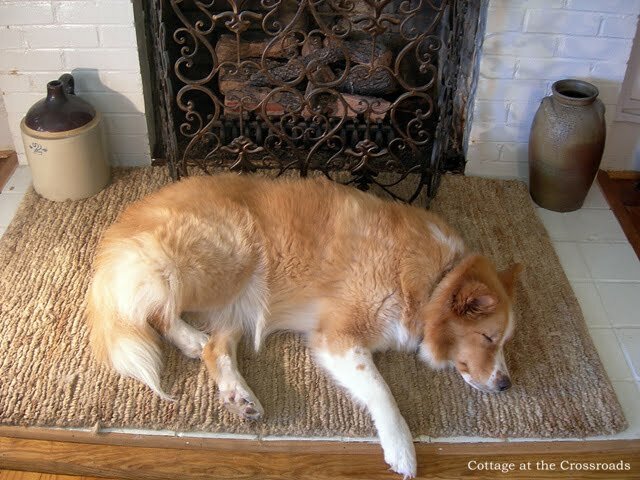 Including the cutie on the rug! Bring me that burlap garland, you can give it to me at Haven! 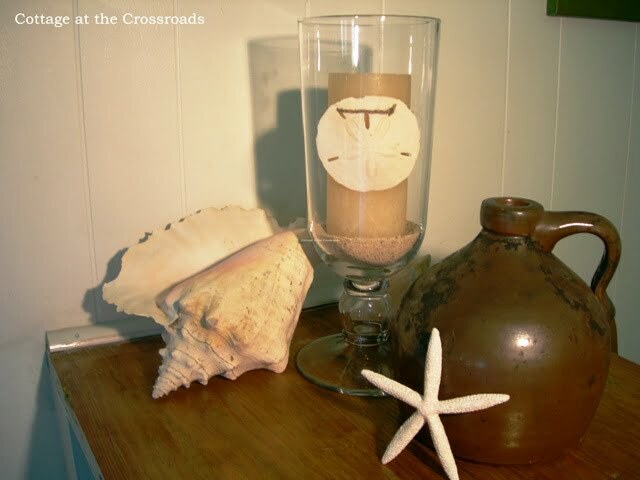 What a pretty summer mantel! It looks wonderful! Lucy must be having sweet beach dreams!! The shells in the dough bowl are wonderful Jane. The garland is fun and even I might could do that. I have not a smidgeon of crafting ability normally. I’m visiting today through Layla’s Summer Mantel Link Party! 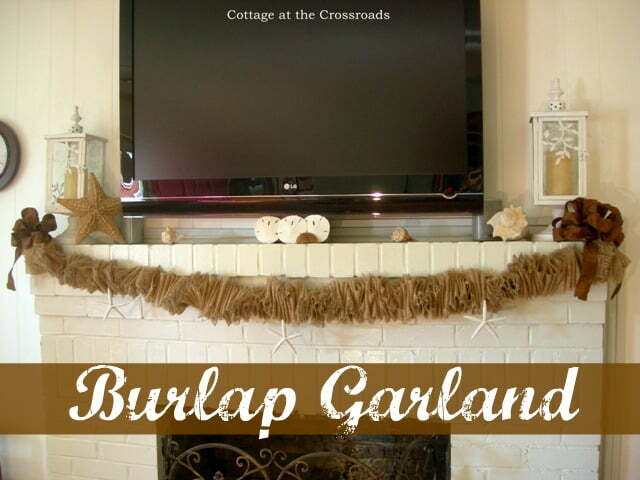 Your mantel is lovely, and your burlap garland is just adorable! Looks wonderful Jane! 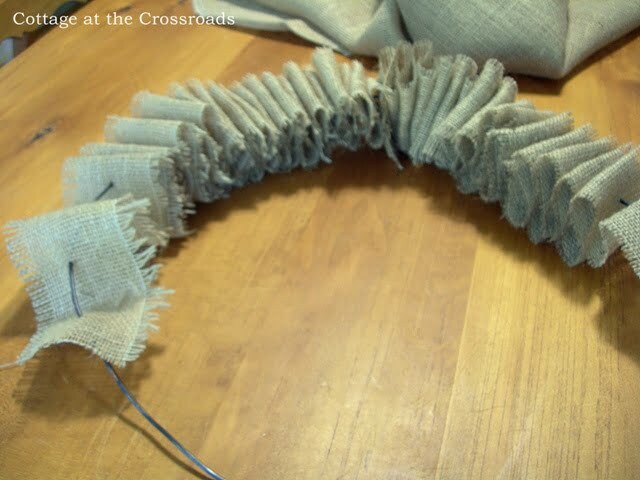 I love the way the burlap twisted and turned. This could be cute for any season too. Looks like Cottage at the Beach now! Beautiful Jane! I never knew we had a state shell – I learn something new each day! 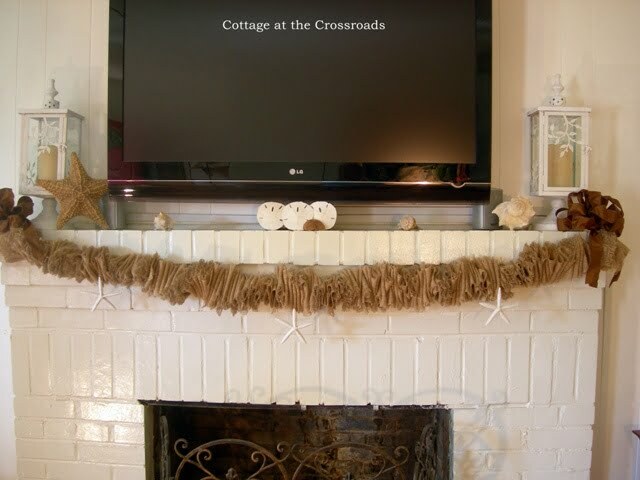 Love, love the burlap banner….Your mantel looks so ready for summer!! Beautiful! Very cute Jane, makes me want to go to the beach! I like your creative ideas. I love the shells in the dough tray and I adore your fireplace screen! Love it all…it looks so beautiful! I love it, Jane! 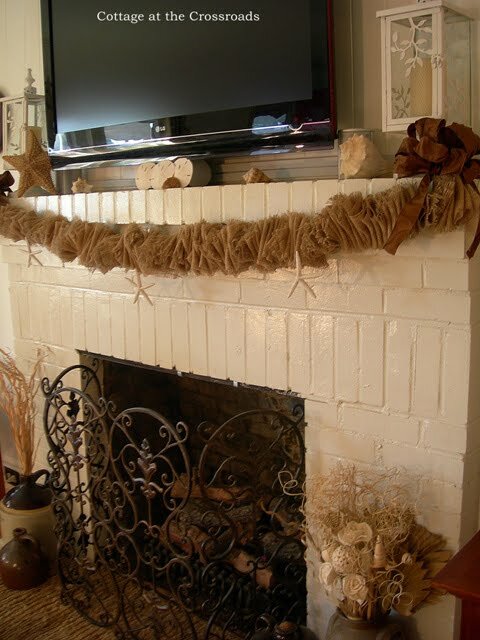 It really looks great against the white of your fireplace and of course, all the coastal accents just enhance the whole look. I love burlap. 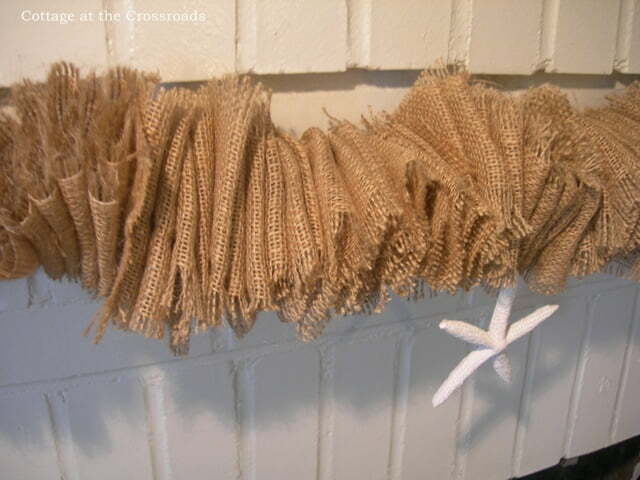 Your burlap garland is perfect with the shells and sea life! Your garland is so my style….I LOVE IT!!! Jane, love the burlap garland, such a great idea. I wouldn’t have come up with that one on my own. Thanks for the inspiration. I think I will make one for Christmas. 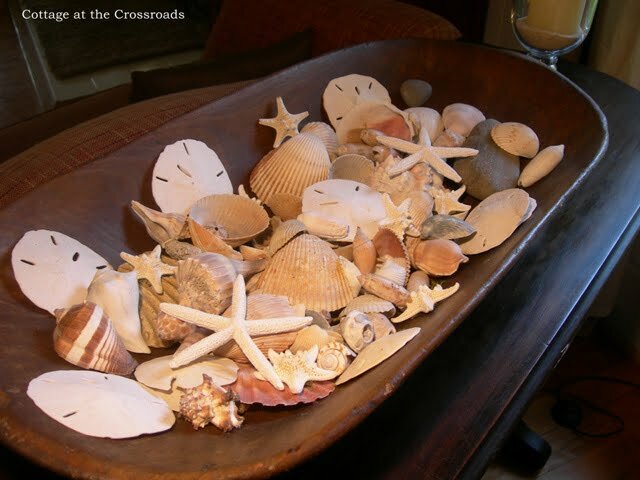 Loved reading your post and looking at your wonderful summer redo with the burlap, shells, a bit of hot glue and wire and a lot of creativity – and love the shells in the dough tray. That is SO cute Jane! 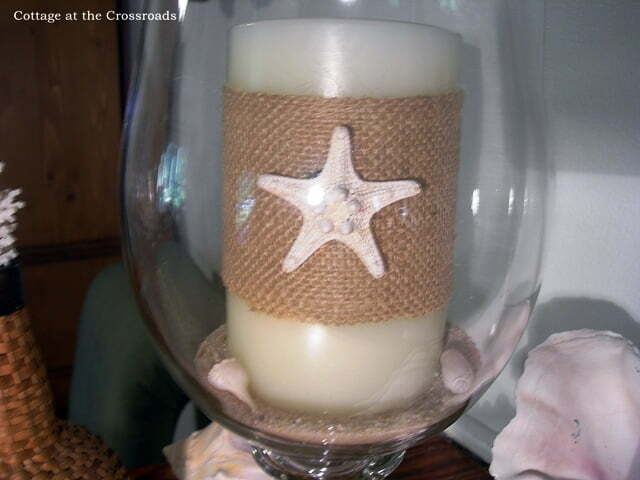 I love the look of it, especially with the starfish and bows. Great job! I absolutely love your burlap banner. Your mantel is looking all summery and fresh too Jane.